I added banners and a new comic on the links page, along with a banner for Hearts of Roese. Very pretty comic. :O It’s very…atmospheric? Curse my lack of ability to find the right word. Love all the little details that go into the environment, even the little open window. And is that a close line I see in the distance? Love it! It looks like some times more panels are used than necessary on some of these pages. For example, on this page, the first two panels could probably be done away with. 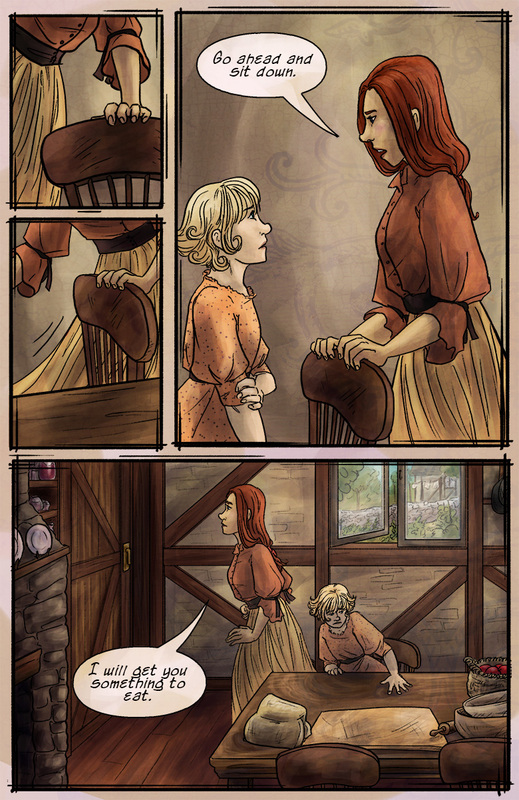 Little actions like pulling a chair out usually don’t need more than one panel. It’s not necessary to show every stage of each action. Often, you only need one panel for one action, unless it’s a moment of great significance that needs to be emphasized.